...so that our children are able to reach their full potential. Communication between school and home is vital to us so make sure you check this website regularly especially on a Friday when the weekly newsletter is added. 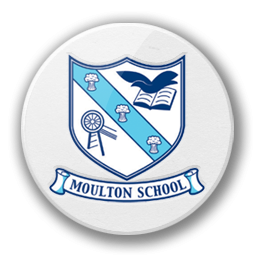 Make sure you also download the Moulton School App which provides a quick link to the website too. You can also follow us on Twitter @MoultonPrimary Our most popular method of communication is via the Class Dojo App. Teachers post regular messages and photos to show what the children have been up to in class. If you haven't signed up already, see your child's class teacher for details. It is such a great way to keep up with your child's learning.